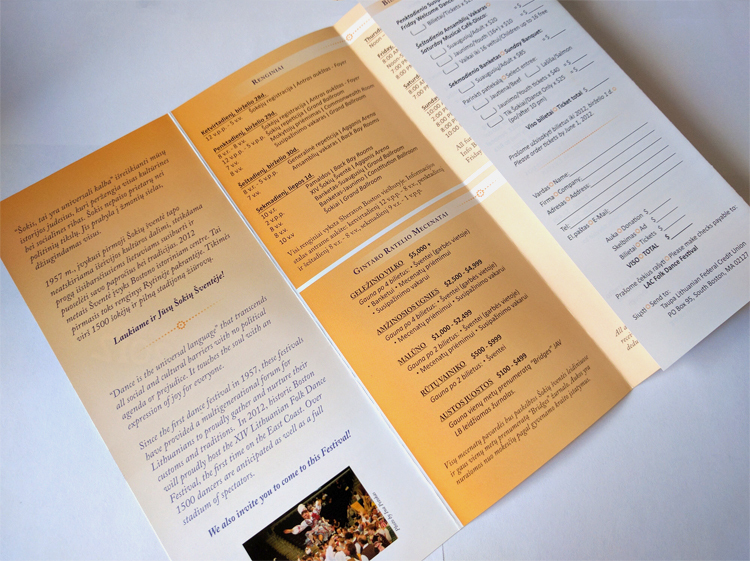 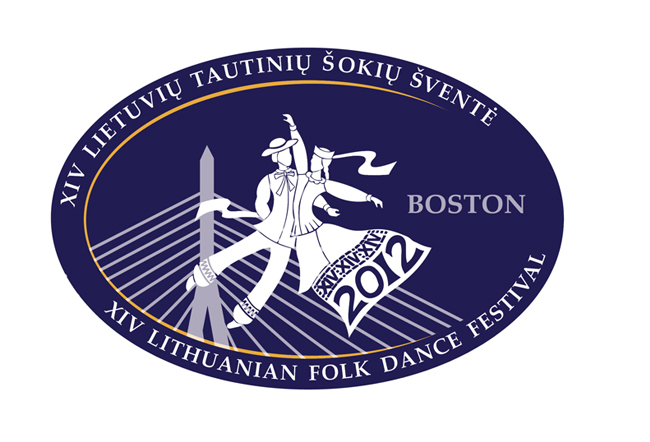 The Boston Lithuanian American Community was hosting (for the first time) the FOLK DANCE FESTIVAL that is held every four years. 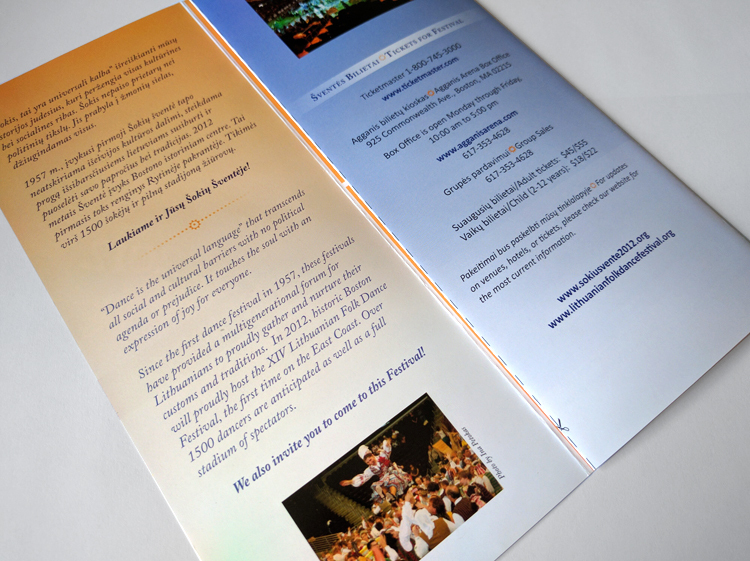 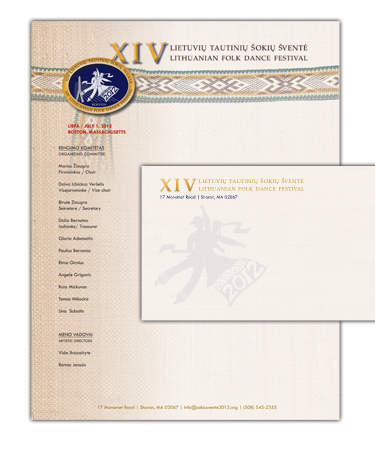 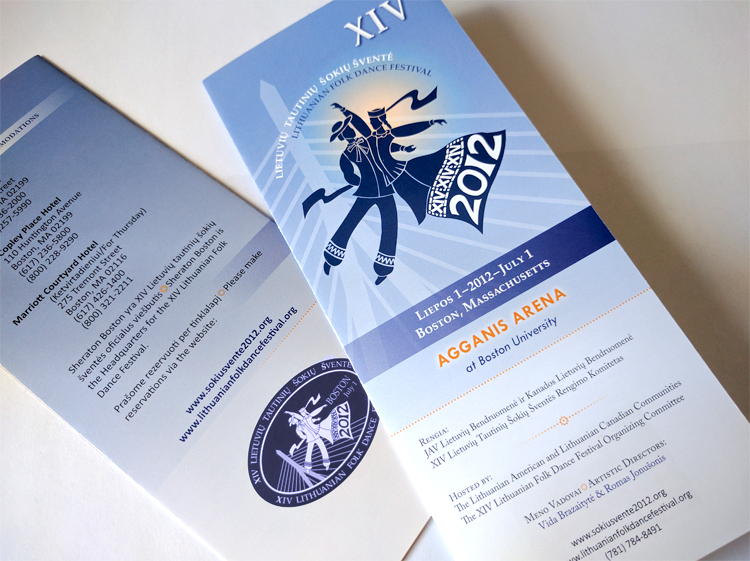 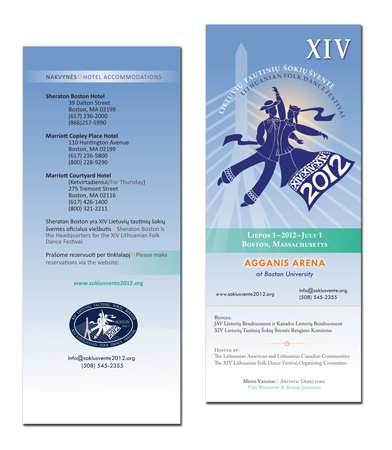 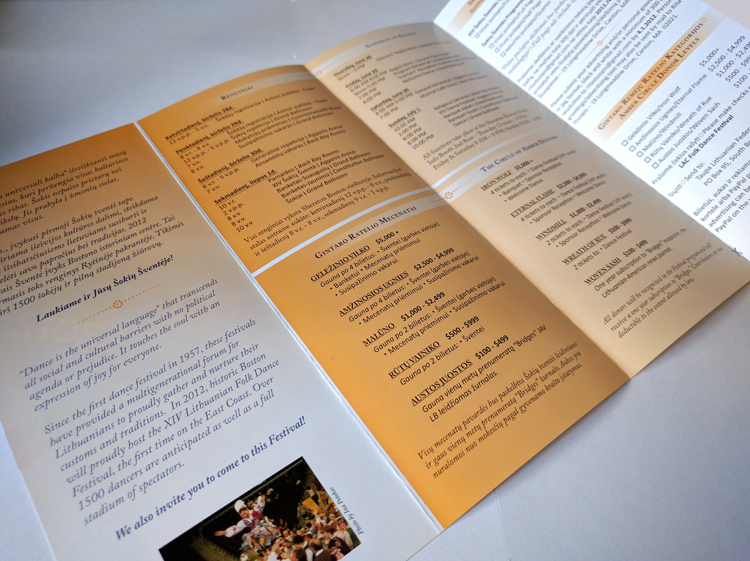 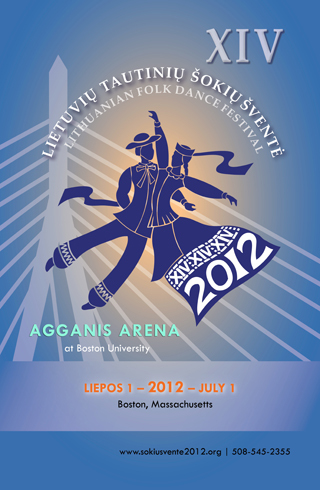 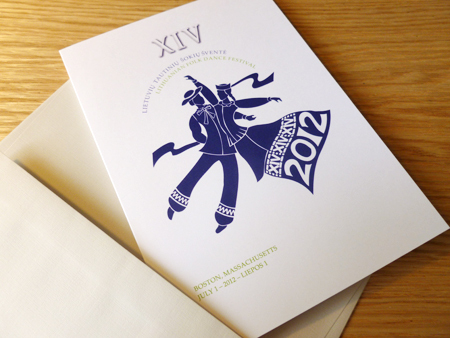 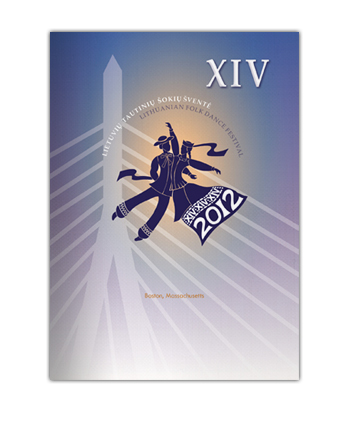 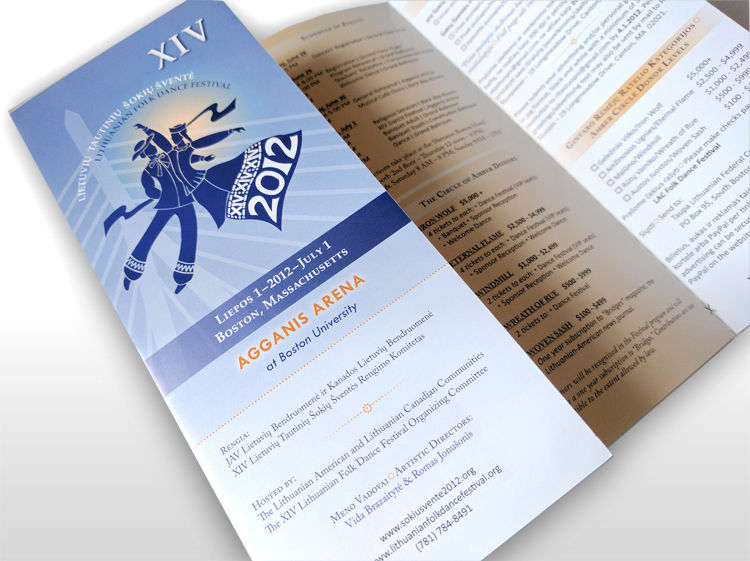 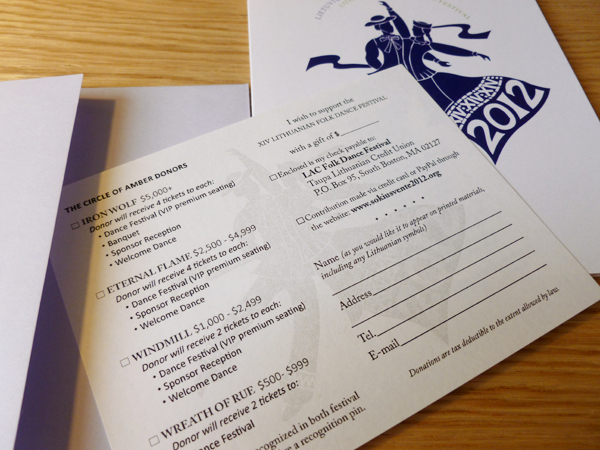 On July 1, 2012, as many as 47 Lithuanian folk dance groups from around the world came to Boston. 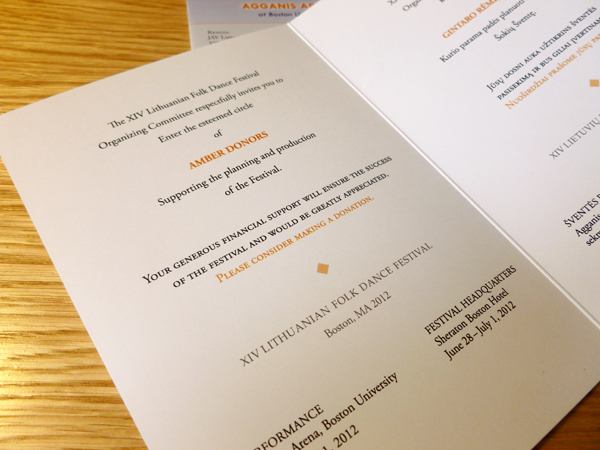 The organizers have asked me to help with this event’s identity. 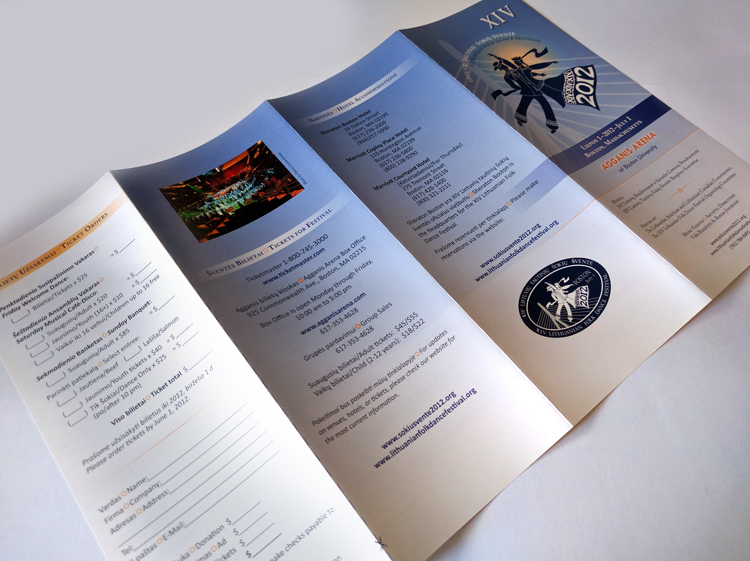 They already had a logo that needed to be used on all promotional materials.